The more peripheral an Eastern European country is, the more vigorously it waves the European Union flag. Georgia waves it the most vigorously, even though it is located in Asia. Europe could not have been moved to Georgia neither with pleads, nor with threats. Thus, Georgia has decided to settle for an imitation. 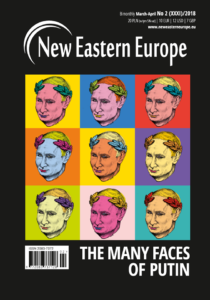 In an era when anti-European populism is becoming mainstream in the West, it is sometimes hard to imagine that there are countries where the dream of a European-style liberal democracy is still very strong. Georgia is one such country. Public opinion polls conducted in July this year show that a whopping 77 per cent of Georgians support the European Union and 66 per cent support NATO. And this support remains, despite the country’s complicated geopolitical situation. 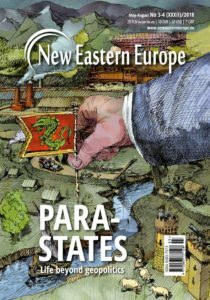 Unfortunately, similar to other Eastern European transformations, Georgia’s “westernisation” has been at the hands of short-sighted and overly ambitious politicians. Thus, it has turned into a triumph of style over substance. 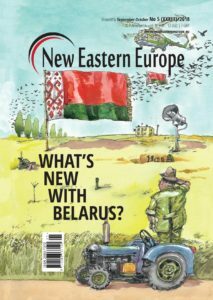 Arguably, the transformation in Georgia began in 2003 when the Rose Revolution with its pro-European slogans brought Mikheil Saakashvili to power. What followed was the transformation of what we can call a Potemkin village à l’européenne. Georgia imports almost everything, and preferably from the West. Three-quarters of the products found in an average Georgian household are imported. If Georgians could, they would import the whole West, since the West, as Saakashvili used to say, is Georgia’s “destiny written in history”. Europe was here already in ancient times when Prometheus was suffering on the hillsides of the Caucasus and the Argonauts were searching for the Golden Fleece in Colchis. Europe was here in the early Middle Ages when King Mirian III accepted Christianity at the hands of St Nino and when Europe proper was full of Asians. 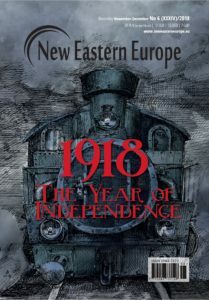 While it is true that Europe was not here during the Enlightenment – when the revolution was burning in France, the Persians were burning Tbilisi – or in the post-war Soviet Union, when today’s Georgia was the Georgian Soviet Socialist Republic, governmental slogans still proudly proclaim that “Europe began here”. After the collapse of the Soviet Union the West indeed received diplomatic notes calling for help to “support the descendants of the mythic Kartlos, the great grandson of Japheth, the son of Noah, the symbolic ancestor of Indo-Europeans”. However, it never crossed NATO’s collective mind to intervene in any of the civil conflicts which were erupting at that time throughout the former Soviet Union, Georgia included. It was Saakashvili who finally understood that the West would not come on its own and definitely not move 3,000 kilometres eastward. 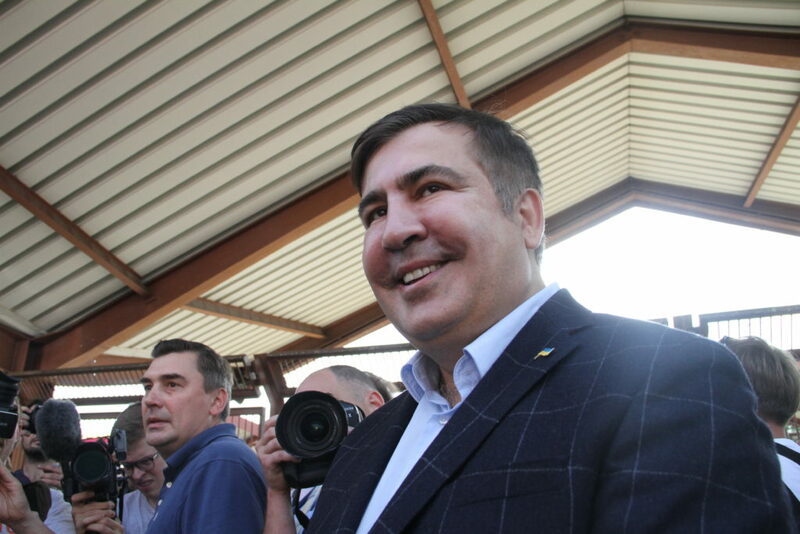 The West – Saakashvili thought – had to be impressed. Hence, the conclusion: Georgia had no choice but to start resembling the West. The traces of the Soviet legacy, a thorn in Saakashvili’s side, can be found throughout Georgia. “Dictatorships are grey and democracies colourful”, the former president used to say. It turned out, however, that it was not so easy to cover up the decaying post-Soviet blocs with self-made balconies clinging for life with a layer of paint, or to push away side-street bazaars to replace them with fancy supermarkets; or to just hide everything Soviet behind glitzy giant billboards. As the opportunity arose, the statues of several unwanted heroes and despite protests a large chunk of the legacy of Soviet modernism were quickly removed. It took Saakashvili a couple of years to pepper the country with post-modernist wonders: a pixelated shopping centre here, a police station in the shape of a glass pyramid there; not to mention the hotel which resembles the shape of an Alexandrian lantern, or the ER building that looks like a Wi-Fi router with a large antennae. These are all different buildings, but the context is the same. And the unique post-Soviet characteristics of cheap construction practices allow for the use of remnants of insulation foam to build a moat, hollow bricks to erect an embankment, or old rusty weapons for fencing. One thing is sure though, when Europe is approaching, there is no time to waste. The architectural Blitzkrieg touched the capital city above all. The goal was to clean up the ruined alleys of the old town in the shortest amount of time possible and create a new life in old Tbilisi. Not surprisingly, UNESCO was wringing its hands when centuries-old buildings were replaced by grotesque replicas covered with gargantuan adornments resembling random elements of the traditional constructions. What is more, this was all taking place in a city, which has existed since the fifth century has experienced many fires and earthquakes (naturally after each of them some things survived but some things had to be built anew), and has been inhabited by numerous ethnic groups (Armenians, Kurds, Jews and Russians among them) who all made Tbilisi a cosmopolitan capital of the region. Even Stalin did not have Misha’s guts to touch this palimpsest-like city. His investors also had their methods to rid homes of their tenants. It was harder to find new ones, though. Thus, today it is only tourists who climb the brightly illuminated yet abandoned walkways below the Narikala fortress. In Kutaisi, the medieval Bagrati Cathedral experienced a similarly cruel fate. After its glitzy reconstruction with a heavy application of concrete and plastic, the building was removed from the UNESCO cultural heritage list in July 2017; it had been placed on it in 2010 as an endangered world heritage site. Meanwhile, Georgia’s first capital, Mtskheta, also followed suit when a German-like micro-centre, with intersecting rows of souvenir shops, all in a balanced colour scheme of beige and grey, was built round the Svetitskhoveli Cathedral, which seats the highest authorities of the Georgian Orthodox Church. Finally, Signagi, a provincial town famous for its vineyards, was rebuilt in a Mediterranean style. The apogee of the architectural madness is the city of Batumi, which in recent years has turned into something that looks like a buggy simulation of Las Vegas. Its coastal promenades, which have still not come to terms with the collapse of the Soviet Union, are now decorated with colourful palm trees, while the building façades are not to be seen behind a chain of neon lights. Since the launch of the visa-free regime with Turkey, the service sector of the city was tightly filled with brothels and casinos, which are both illegal across the border. Georgia’s northern neighbours were also not forgotten, as the moonshine-filled fountains were erected. Overall, Batumi’s landscape is now marked by a new architecture that is as eccentric as it is suspiciously symbolic. Like a sail-shaped skyscraper, even though Batumi’s sailing is limited to one shiny yet desolate luxurious yacht club, or a tower made of entwined letters from the Georgian alphabet forming a DNA helix which sends a worrisome ideological message. There is also a miniature of the White House flipped upside down, which constitutes a surprising, although probably unintended, criticism of the blind imitation of American models. All this is in the vicinity close to the old town. There, new buildings stylised as old were tucked between the 19th century tenement houses, while the old buildings were renovated in such a way as to match the new ones. That is, it is only the fronts that match, as nobody can see anything from the backyard. The place where one can see a lot, meaning the very centre of the old town, a map of Europe was hanging for some time where Georgia was marked with highlighted red contours. “Georgia is a part of Europe”, the map read. Conspicuously, it was missing the Iberian Peninsula – most likely due to the lack of space. Not all Georgians can afford to travel and enjoy the country’s fast turnover to the West. Therefore the authorities decided that the “New Georgia” would be photographed and the pictures will be published in an album that would be later handed to its citizens. The album was also released in the West. There was, however, a risky possibility that the photographs would not satisfy western judges and they would decide to come for an inspection. In that case, something had to be done with the locals. 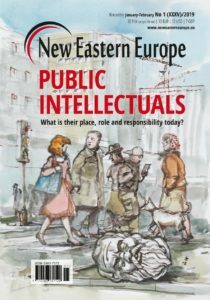 As part of Saakashvili’s social engineering plan, Georgia employed thousands of English language teachers, as well as volunteers, activists, students, NGO workers and hipsters of all sorts. To get the latter was not particularly difficult. When Warsaw, Prague or Bucharest – not to mention Berlin – were flooded with the European funds, the cities also lost lots of their exotic charm. Charm was still to be found in Tbilisi, which still offers a great deal of exoticness, but also allows one to escape from it and find refuge in an increasing number of urban cafés which are popular hang-outs for the expats and the fast growing creative middle class. Here, no one praises Georgian cuisine. It is rather in good humour to mock the new bridge and say that it looks like a glass sanitary pad, or laugh at the “euro-renovations” – as Tbilisi has been obsessed with adapting apartments to what is believed to be European standards. Thus you hear stories about a rented flat that has a shower with a radio and hydro-massager, but no working drains, or a studio where new windows are installed, but the excess of insulating foam busted their frame. 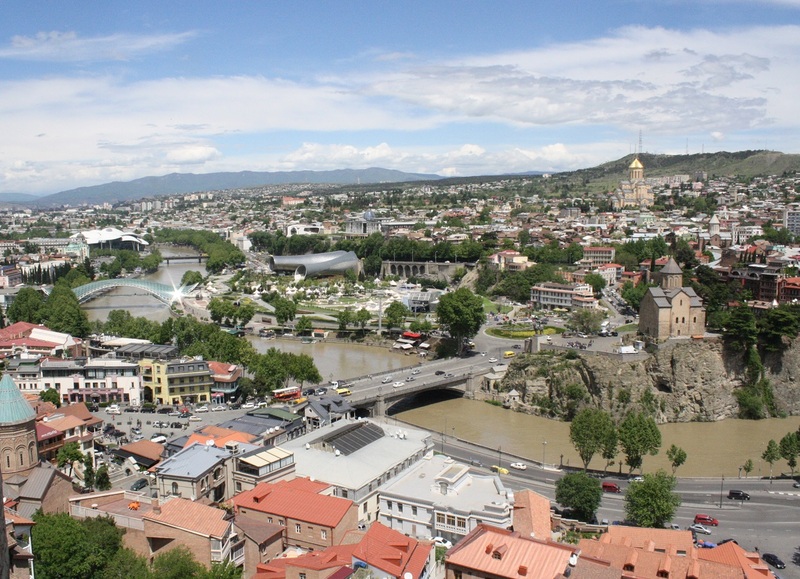 City life in Tbilisi – which according to local knowledge, has existed for at least 200 years – looks more like what you would see in Europe, and makes it look different from Istanbul, Odesa or St Petersburg. It is no wonder, then, that the West got a little carried away with its preaching. In fact it went one step further by not just limiting itself to the routine observation of government’s actions, rural youth programmes or summer EU law schools. As a result, upon the initiative of volunteers from the European Voluntary Service, an alternative cultural centre was opened in an abandoned hippodrome. There young Georgians were shown films about squatting and were patiently told why they did not necessarily have to respect the police and democratic institutions (although they had just learnt to respect them) and that hard work will not necessarily lead to career or financial success (although they had just started to believe that). Close to Batumi, near the administrative boundary line with Abkhazia, a small village was meant to be turned into Lazika – an ultra-luxurious coastal metropolis. And as the imitation of Europe no longer impressed anyone, the imitations of the Asian tigers could have. Lazika was named after a former kingdom, one of the incarnations of Colchis, which included, of course, Abkhazia. Abkhazia is a Georgian province which enjoyed autonomy during the Soviet times but Georgians claimed their rights to it during the wave of pro-independence nationalism. As a result of the civil war, Abkhazia declared itself as an independent (yet unrecognised) para-state. Saakashvili wanted to impress the Abkhaz with his tanks, but when this did not work he came up with the idea for Lazika. “Five- and seven-star hotels instead of trenches, the best aqua parks in Europe instead of land mines” were his promises as he was looking at Abkhazia, the post-apocalyptic ruins of a Soviet spa. The only problem was that even if he really delivered on his promises and attracted Abkhaz with seven-star hotels – and was able to beat the competition of the fast developing Sochi, which was right on the other side – there were still not enough people to inhabit the city. Misha, as always, had a solution – the Georgian diaspora will return and start living there. Despite his ingenuity however, the former president found no remedy for the topography of the terrain. In his opaque calculations, as it was pointed out by local NGOs, he did not include the cost of building skyscrapers on mud and sand dunes. In a realistic scenario, Lazika would have cost Georgia around one billion US dollars, this is for a country whose annual GDP is only $16 billion. Saakashvili’s plans were thwarted by electoral defeat. Surrounded by subtropical greenness – as in this part of Georgia new buildings do not sink in the continental mud – a town hall and a bridge were built, at the end of which stood a 30-metre statue resembling a tank with a barrel directed towards the unwanted neighbour. The connotation is not accidental, given the fact that the military vehicles produced in Georgia were given the same name – Lazika. Saakashvili, the great reformer and a favourite of western diplomats, survived ten years in power. When the opposition began to gather steam, the president did not live up well to democratic standards. He began sending police forces to crush protests, which only made matters worse. The end came when evidence was leaked to the media that serious cases of torture were taking place in state prisons. Georgians listened to Saakashvili carefully, already knowing that European countries look differently. However, it would be unfair to say that Saakashvili did not deliver anything. A number of radical neoliberal reforms, combined with domestic entrepreneurship, brought about economic growth. And it was during Saakashvili’s government when Georgia’s tourist boom began. Georgia also built a system which closely resembled the rule of law and corruption was significantly reduced from everyday life. The old post-Soviet cadres in the police departments and local governments were exchanged. But Georgia’s American dream lasted only for a few years. 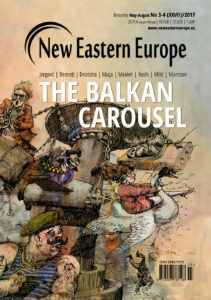 It was quickly interrupted by Russian embargoes, the war and Saakashvili’s authoritarian tendencies. Georgians were hit by the costs of transformation. The authors of the Georgian shock therapy cannot be proud of its effects. The “New Georgia” was a country for a “New Georgian”, a legal entity, but not a real person. The new labour code, which focused on entrepreneurs but somehow forgot about the workers, was a clear reflection of this approach. 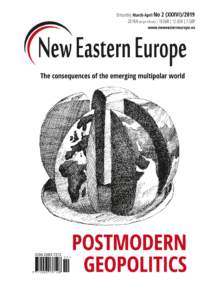 The “New Georgian”, in Saakashvili’s understanding, was meant to become a Homo economicus, meaning an ideal citizen of a capitalist state, entrepreneurial and resourceful. Someone who takes matters in his or her own hands and does not expect any support from the state. 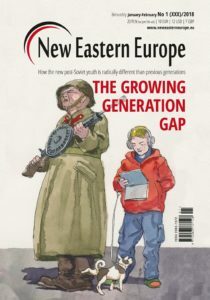 While Saakashvili’s reforms did indeed help many honest businesspeople build the foundations for the emerging Georgian middle class, they are still in the minority. Those who succeeded got stuck in a limbo, an interim form of existence. 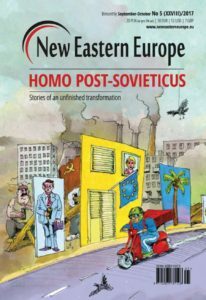 They are a Homo post-sovieticus. On the one hand, they nostalgically reminisce about the Soviet Union and on the other hand, they are overpowered by dreams of consumption. Stagnation, which has tormented the country as a result of western sanctions against Russia, neither allows for the reconstruction of a social security system, nor for running a successful business operation. 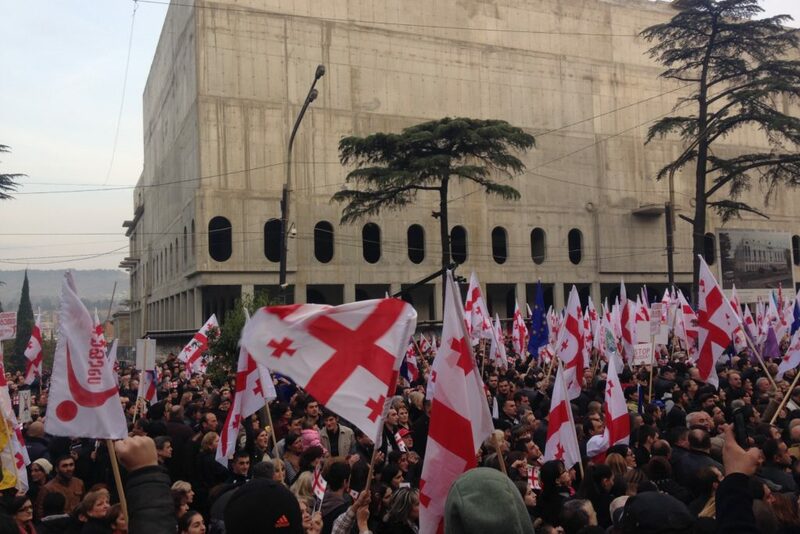 The Georgian Dream party came to power in 2012, thanks to socially-oriented slogans and resistance to Saakashvili’s growing authoritarianism. In 2016 the party was re-elected for a second term, receiving 49 per cent of the vote (with a low turnout of 52 per cent). Its politicians did not shy away from the pro-European slogans, despite softening relations with Russia. Despite some scandals (as the recent kidnapping of opposition Azerbaijani journalist painfully testifies), one can say, overall, that democracy in Georgia is relatively stable. The Georgian Dream even managed to implement several pro-social reforms. It introduced basic universal health care, slightly increased state pensions and lowered utility bills. 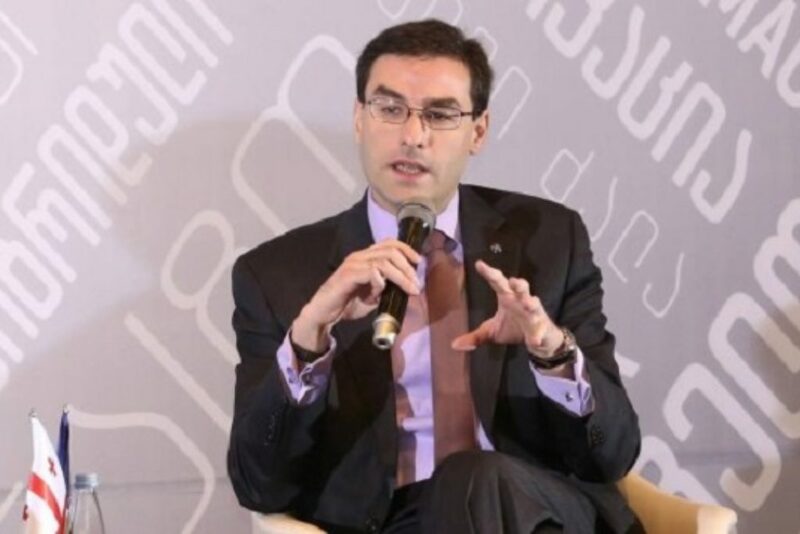 At the same time, the party has continued with Saakashvili’s focus on making Georgia a business-friendly state, which means low wages in the public sector or the absence of labour laws in the private sector. Even the party’s name, referring to the mythical American Dream, shows that the notion of “from rags to riches” is still alive in Georgian politics. However, economic stagnation and a lack of perspectives for change has deepened frustration and indifference among its citizens. 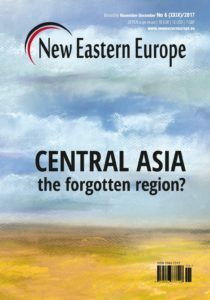 The Georgian dream of Europe is still strong despite the fact the current geopolitical situation leaves the country without much hope of EU or NATO accession. The question remains what can Georgians be offered beyond a visa-free regime which was introduced in March? Over the years, politicians across the spectrum have promised voters that the Europe they have dreamed of was within reach; once they become Homines economici, when they take matters in their own hands and when the developers finish constructing parks with new fancy buildings. European politicians and investors nodded in agreement. It is clear that this scenario is far from being realisable. 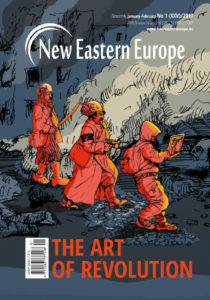 It is hard to say which colonisation projects Europe should be more ashamed of – the completed ones or those that have been left behind, and remain unfinished. Kaja Puto is a Polish journalist, translator and editor. 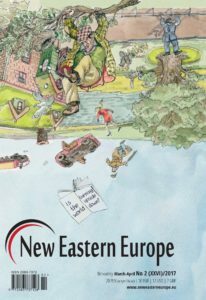 She focuses on topics related to migration, politics and social changes in Central and Eastern Europe as well as Southern Caucasus. She is the deputy director of Ha!art publishing house. 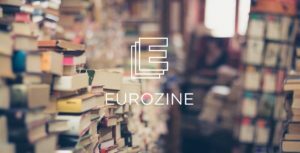 This text was originally published in New Eastern Europe issue 5/2017.